Welcome to what I’ve learned along the way. I hope to gain more insight and hope that all of you get something from it as well. Do you need a web host? I prefer Site-Ground. You can have your own website for as little as $3.95 a month. Sure you can set up a free blog somewhere else, but you are very limited on that blog. Why are you limited? Click here to find out. Attention: This page may contain affiliate links or banners, that may provide me with a small commission to help maintain my blog if purchases are made through these links or banners at no extra cost to the customer. I started with a free site to journal my DIY’s. If I could do it over I would’ve started with a host. I was told you should have at least 10 posts before launching. Although I still have a long way to go, I am excited about what I have published. It was scary “going live.” I was worried about what people thought. Sometimes you just have to take the dive and go for it. Count to 10 and push publish, count to 10 and share. I made a lot of mistakes but I feel like I have learned a lot and growing. Setting up a website is fairly easy. Have your host help you set up, then download WordPress. You will need to download a theme. I used the theme that was already downloaded and customized it. When you hit customize, there is a list to the left. I started from the top and worked my way down. Once I got the hang of it, I tried other themes until I found the one I liked. I chose DIY because that is my hobby. Write what you are passionate about. How much money you spend depends on what you are writing about. I paid maybe $50 to start my site. My projects are projects I would have done anyway. There are ways you can earn money from your site. There are a few ways you can monetize your blog. You probably won’t get rich overnight or ever get rich by running a blog. But there is a way you can make a small commission to help with the fees associated with your blog or maybe earn a steady income. The potential is up to you. Share A Sale is an affiliate marketing network that can connect with merchants looking for affiliates. Merchants like Cricut, Wayfair, Etsy, Checks Unlimited, Dollar Tree, and many more. Amazon, like I’ve said before a lot of people shop Amazon. and many other affiliate marketing networks. Are you a DIYer? Sell your creations. Do you specialize in something? Sell books, courses or newsletters. Do you make lists to make lists, like me? Sell lists and planners. They can take a lot of time to create. A lot of us don’t have extra time and would rather pay a few bucks for a nice organized list or planner. Install a plug-in that will set up an online store on your site, like WooCommerce or set up an Etsy shop. Are you worried about time? It does take time to set up a website. It takes time to write material. Some bloggers post daily, some weekly, some monthly. It depends on you and how much time you are willing to put in it. You need to have nice pictures on your blog. I’m still working on perfecting this, I need to invest in a good camera. Take pictures in well-lighted areas with natural light. I use Canva to photoshop my photos. Did you know that you have to use a specific sized photo for Pinterest? Canva has a template for each social media site. Shew! Easy enough for me. I suggest installing Grammarly it will help catch errors. Don’t worry there is a free version but an even better-paid version. 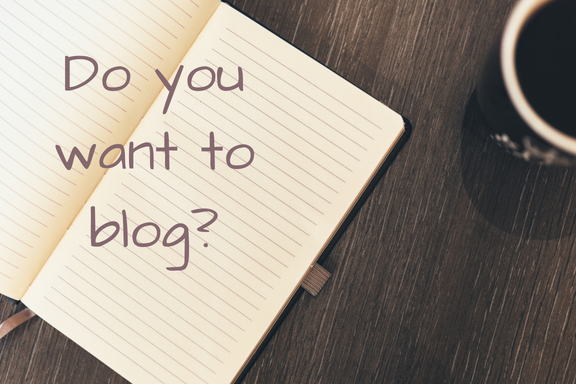 Have you written your first blog post? I wrote a free checklist to help prepare you before you publish. Research SEO and learn why that is important. Please check back, I hope to keep adding to this page as I learn. Do you have something to add to my post? Let’s collaborate. This is so informative! I’m still learning so much about blogging in general. Thank you. Me too, we can learn together. Thank you. I am here to help anyway I can.